The successful website of today is a far cry from its contemporary counterpart 10 years ago. In order to be appealing and deliver the quality users crave, a website must be easy to navigate, viewable across multiple devices, have an aesthetically pleasing interface and produce quality content for users. The aim to create quality content is rather subjective in nature, but good web design – while enjoying a variance in what constitutes aesthetic pleasure – is much more objective. 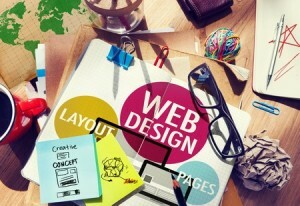 Search engines are now even finding ways to assess web design when ranking websites in search. As such, good web design is crucial. Below, we’ll discuss the main tenets of good web design so that you don’t make any crucial mistakes on your current and future projects. Every website design must resonate with the reader in terms of purpose. What exactly are your visitors looking for? Whether it be information, shopping, entertainment and community interaction, a properly-calibrated web design will take this into account. A blog-style website for an e-commerce platform obviously doesn’t make sense. Be sure that the purpose of the website is adequately reflected in its design. Those who stumble across your website will be seeking information of some sort, and they’ll want to find it quickly. In today’s information age, what is not provided by you will be provided by someone else. Pinging websites with straightforward messaging about what is available, where it can be found and including a well-organized series of menus and navigational elements is crucial to any successful web design. On individual pages, be sure to break information up in pieces so that it can be scanned and absorbed easily, via bullet points, subheadings and numbered elements. Perhaps most important to aesthetically-pleasing web design, the legibility of a website truly matters. Even the most intuitive web design available is relatively useless if readers cannot make out the text clearly on all devices. Font faces that display well on desktop and mobile devices are crucial to lowering bounce rates, increasing conversion rates and inevitably pleasing both search engine and user alike. In addition, be sure to use no more than 3 different size variations of the same font on your website in order to maintain a beautiful and streamlined interface. How the web design appears to most visitors will inevitably be determined by the colours used in the design. Well thought-out colour palettes can make the difference between a poorly-received website and a class act. A variety of colour coordination tools are available online that can help users pick the best combinations from virtually any colour scheme imaginable. Whether the goal is to draw attention to select elements or make the page easier to read, there are options and solutions that can complement an otherwise well-built web design. While these are just a few examples of concepts that must be considered in any web design solution, these considerations will help you iron out the majority of potential trouble spots in any effort. As pinging websites with improper colours, bad fonts and unclear messaging can destroy even the most noble attempt at success, correcting any issues in these categories is fundamental to any web design project. « Is There Value in Still Buying Links?